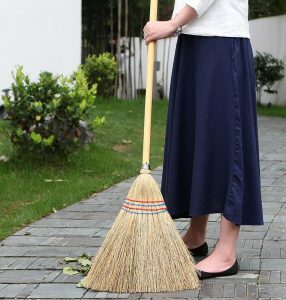 FEATURES Large outdoor broom, suitable for cleaning outdoor wood, bluestone, granite, floor tiles, lawns, etc. 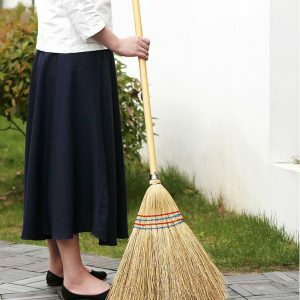 The broom lengthens and thickens the design, and the taller ones use no need to bend over to protect the lumbar spine. 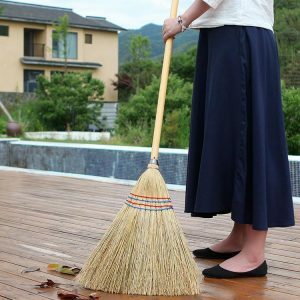 The broom head is designed to be more suitable for cleaning the fallen leaves of the courtyard. The original ecological natural plant materials are hand-made. Each broom is made by hand. Unlike the machine production, each broom is unique. Well-made, bundled and solid, suitable for cleaning the leaves in the garden.